One reason why we love sport is its unpredictability; take Leicester City’s Premier League win as an example. It broke the boundaries of football. It was everything we crave, a classic underdog story, sub plots and dramatic highs and lows. What made it all the more exciting was how Leicester tore up the status quo. The Premier League is dominated by the financial giants Manchester City, Manchester United, Chelsea and Arsenal. Before the season starts we know how it will play out, the two Manchester clubs and Chelsea will battle it out for the title. Arsenal will struggle to keep up; Spurs will try to make the big four the big five. Honestly, it felt like the Premiership was heading in the same destination, the same predictability. Until this season. This season has felt different. You might point out that Saracens still occupy their customary lofty position, but they have not had it all their own way this season. Fault lines were laid bare during the Champions Cup – destroyed by old foes Clermont Auvergne - and stuttering through December and January in the Premiership. It wasn’t until they eased past Harlequins in March that they looked to have regained some of their verve. Exeter has continued their dominance, Newcastle has come to the fore while Sale are a growing force and finally a threat to sides on the road and not just at home. Gloucester are showing signs of waking from their long slumber while on the other side of the coin, we have seen Northampton, Harlequins and Bath slip away. The build up to Falcons v Tigers on Friday night told you all you need to know about the changing face of the Premiership. This was not a potential banana skin for Tigers; this was not an underdog visiting Welford Road hoping to cause an upset. This was a battle royale and a perfect metaphor for how the Premiership has changed. Tigers represent the old guard in their traditional close season push, Falcons the new guard, comfortable in possession and hunting the play offs. Leicester are themselves going through a period of rebuilding. For other clubs like Northampton and Harlequins, their squads need major surgery. They will hope that new coaches will have the instant impact Johan Ackermann has had at Gloucester and not need time to settle into the Premiership like Bath counterpart Todd Blackadder. Yet in the North of England, Sale Sharks and Newcastle Falcons do not have squads in need of massive overhauls. Another example of how this season and the seasons to come look so different to the last few years. The focus will be strengthening their squads for top flight Europe. A motivation for coaches to recruit the best players, and an incentive for the best to join them. 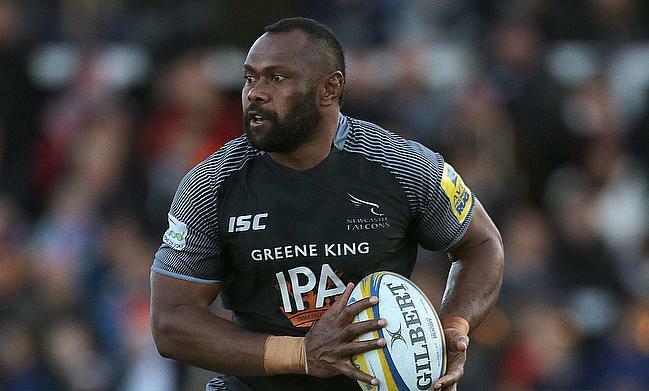 How long since Sale and Newcastle could offer players top flight European rugby? This season, fuelled by some of the finest Union brains, Sale and Newcastle have looked comfortable in possession, happy to go through the phases to break teams down. They have always had edge to their game, but they have introduced real power and physicality. Added to that, there is a determination and belief that they have a right to be there, no better example than at Welford Road on Friday night. Sale too demonstrated this in pushing Exeter close on Saturday. In terms of Exeter, there story is truly remarkable. It’s an addictive story from their promotion to England’s top flight, to securing top flight European rugby, to a Premiership semi-final and eventual Champions. Although their odds have dramatically went from underdogs to currently 2nd favorite to be crowned Champions, they are still worth considering betting on. In terms of sportsbooks out there to know, before you put any hard earned money down SportsBettingDime has given this topbet.eu warning for one of their reviewed sportsbooks, due to not having a lot of options for betting on international leagues. Meanwhile Betway & Bet365 remain more popular choices for pundits checking out Premiership Rugby. This season they have finished top of the Premiership for the first time in their history as they ended Sale's faint play-off hopes. The Premiership needs more of these stories; the traditional mid table sides might be starting to finally add some new pages to their histories. So much feels like it has been irreversibly changed this season, and rugby is all the better for it.